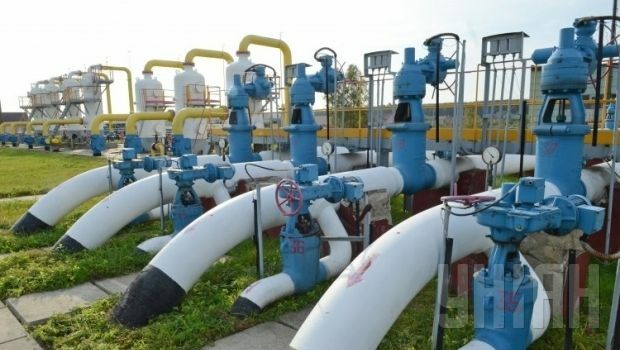 Ukraine in October imported natural gas under a contract with the Norwegian company Statoil at a price of $264.50 per thousand cubic meters, Ukraine’s State Statistics Service has reported. According to the service, in October, state oil and gas company Naftogaz Ukrainy imported from Norway 346.14 million cubic meters of gas at a cost of $91.57 million. In addition, in October gas imports from the EU amounted to 892.192 million cubic meters, costing $ 281.75 million. The average price of that gas was $315.79 per thousand cubic meters. Ukraine did not import any natural gas from Russia in October. Ukraine from January to October 2014 imported from Russia and Europe 17.003 billion cubic meters of gas, at a cost of $4.796 billion. As previously reported by UNIAN, Ukraine signed a contract with the Norwegian oil and gas company Statoil to supply natural gas from October 1, with the gas being piped to Ukraine via Slovakia. Russia, which in the past has been Ukraine’s main gas supplier, cut supplies to Ukraine on June 16 due to a row over prices and debts for past supplies. At the end of October Russia agreed to resume gas deliveries to Ukraine, on the condition that Ukraine pay in advance each month for supplies. Russia set a price of $378 per thousand cubic meters to the end of 2014, and $365 in the first quarter of 2015.